The Solid Fold 2.0 has an aluminum frame and hinges that are powder coated matte black. 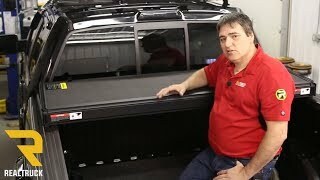 The panels are made from EnduraShield, an automotive grade polymer that is dent, fade and scratch resistant. The panels stay cool to the touch in hot climates. This cover has been torture tested for water management, load capacity and fading. 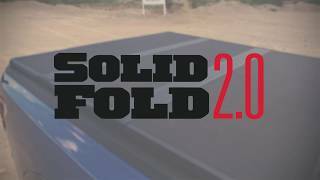 The Solid Fold 2.0 passes the strictest of OEM tests. 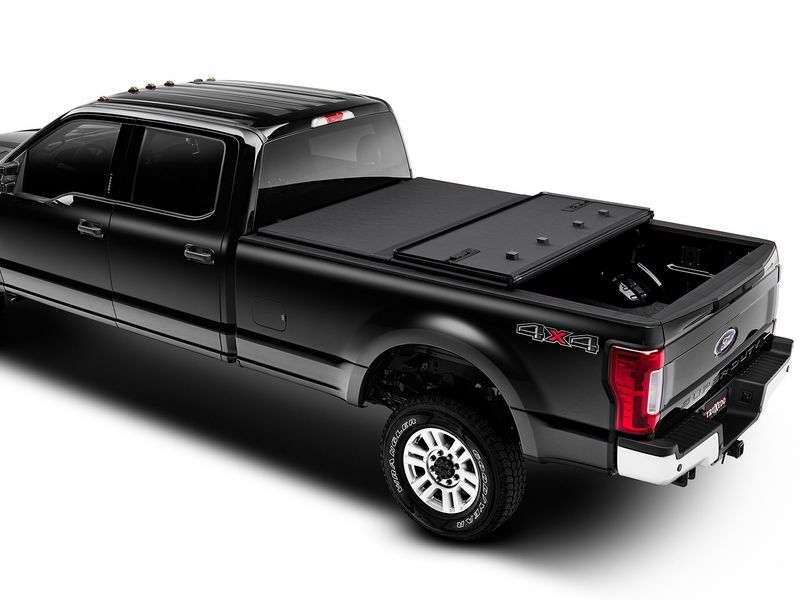 Extang's triple fin seals and hard polymer rubber corners do a great job of protecting the truck bed from rain and debris. They exceed OEM standards and can be replaced if damaged. 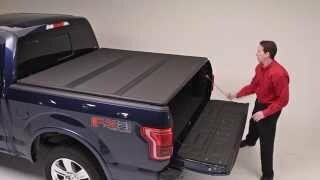 Introducing the Solid Fold 2.0 the next generation of the Solid Fold hard folding tonneau cover redesigned from the inside out. Originally introduced eight years ago the Solid Fold 2.0 has been re-engineered to withstand the harshest of weather conditions and simplify everyday use. 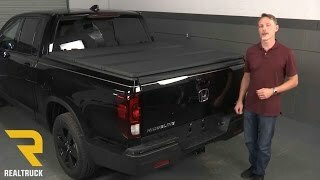 Now made with TPO dent proof panels it's cooler to touch on hot days and integrated snap on seals make it the most water resistant folding cover on the market. The Solid Fold 2.0 features a black matte finish and textured powder coated panel frames and hinges for extra wear resistance and protection. This cover has been torture tested in the most extreme conditions - meeting and passing the strictest of OEM tests. All the versatile elements of the original Solid Fold remain - it comes fully assembled installs in seconds and no rail system is needed. The patented SpeedKlamps alow you to open the cover with ease. Newly designed snap-on automotive OE grade seals provide the ultimate in weather tight protection.